Obtain the Bamboo remote agent for version 2.7 or later (i.e. atlassian-bamboo-agent-installer-x.x.jar where 'x.x' is 2.7 or later). Refer to Bamboo remote agent installation guide for more information. Use this file to replace your existing atlassian-bamboo-agent-installer.x.x.jar (where 'x.x' is 2.6 or earlier) on the computers running your Bamboo remote agents. Restart the remote agent (i.e. kill it among with accompanying wrapper processes and then issue the command 'java -jar atlassian-bamboo-agent-installer-2.7.jar yourBambooAgentServer'). 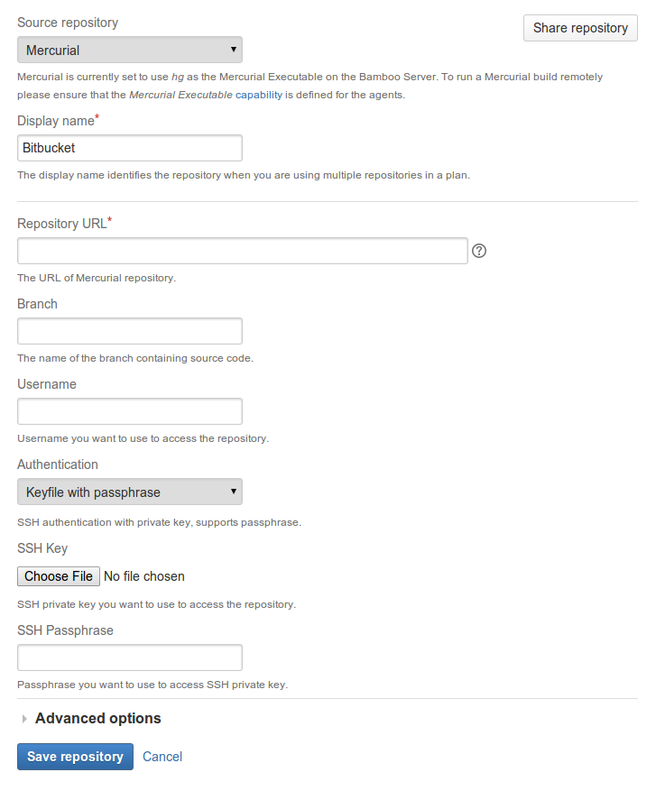 This procedure should prepare your agent to build Mercurial plans using passphrase-protected SSH keyfiles.